"I just picked my target, I stepped up, and I just made a committed swing. And the way golf works, and the way I've always done." So said Rory McIlroy after he ended a 53-week wait, last month, to win The Players Championship at Sawgrass. The Northern Irishman had come close to wins earlier this year - recording five Top 10 finishes in five starts - but putting on the final day was often his downfall. At Sawgrass, a number of big putts dropped and the rest looked spot on. Two cracking tee shots - iron then wood - on 17 and 18 put him in prime position and he closed out for a one-stroke win. After the tournament, he told the media about how he had a conversation with himself back at the Hong Kong Open, in 2008, that helped shape his golfing philosophy. "I was really uncomfortable with the 18th tee shot all week, and on the last hole, it was a 3-wood and I just said to myself, if you make a good swing at this, no matter what happens... I don't believe in anything really, but I think like the golf gods will reward you for just making a good committed swing. "And any time I have a tough tee shot, I stand up, I pick my target, and I swing as hard as I can. And usually it works out because you've committed to it, you've got a clear head." Onwards to Augusta National and the Holywood native will aim to stick to that maxim on one of the most testing, and resplendent, courses in golf. Two days out from teeing off in the company of Rickie Fowler, McIlroy spoke with Greg Allen of RTE about the give-take nature of the course. "Augusta is a test of being patient," he said "But then you have to be aggressive at some point. Whether that's taking on some par 5s, whether that's going for a couple of different hole locations, being aggressive with your iron shots. "You're going to have to take some risk to succeed here, and I'm very aware of that." "The way you're going to hit your best shots, and make your best swings, is if you free wheel, and have a freedom of movement and mind. If Augusta has made me do anything in the past, it's made me be tentative with my second shots. "Being tentative in golf, most people know, isn't going to work out. The best way you can hit a good golf [shot] is by 100% committing." McIlroy enters this tournament in confident mood, and rightly so. 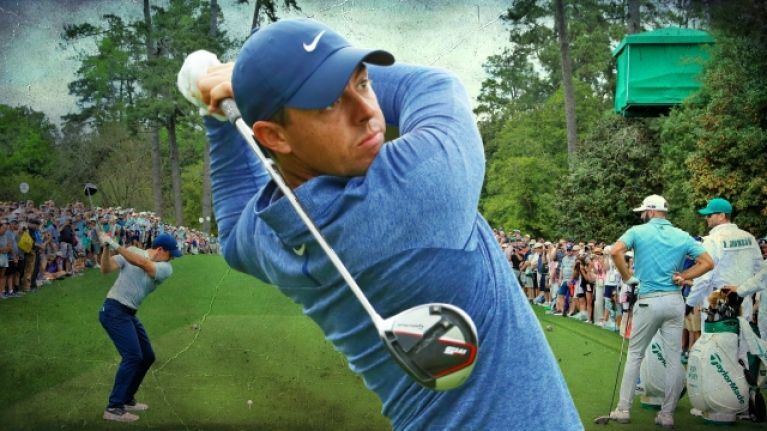 This course that sap the will of the world's best golfers but if McIlroy can stay true to the lesson he learned back in 2008, he has the game to be in the mix.